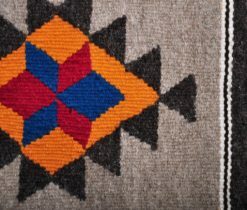 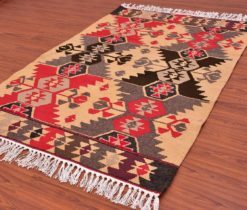 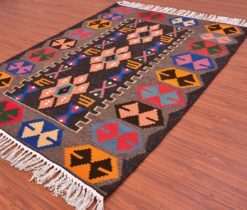 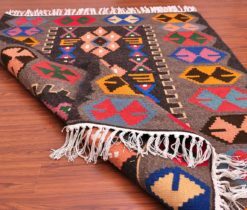 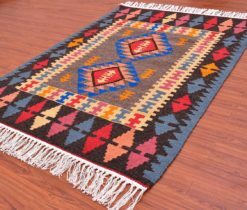 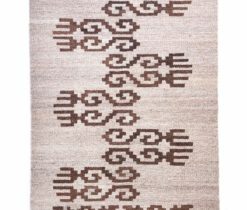 Make sure that this handmade rug will be an authentic decor for your floor. 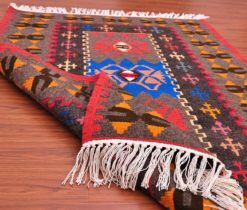 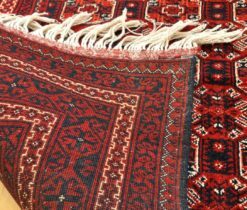 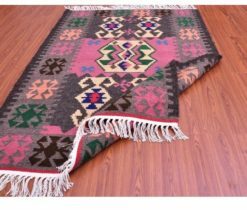 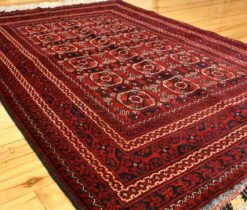 Among the main features of this Persian rug can be distinguished not only the excellent quality of the weaving, but also the high density of knots with the use of the best sheep wool and the delicate silk. 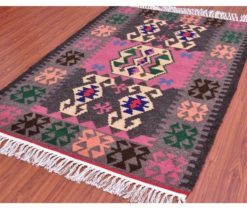 Drawings on handmade persian rugs are created with the help of exceptionally natural paints, without any impurities of any synthetic substances. Main ornaments of this Persian rug are geometric forms: squares, rectangles, circles, rhombuses and other figures. 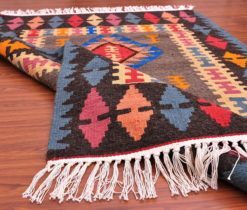 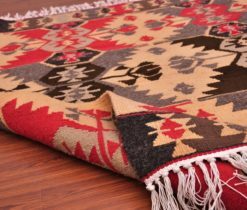 The end threads of the rug are cut vertically and they are not long, which is considered very convenient. 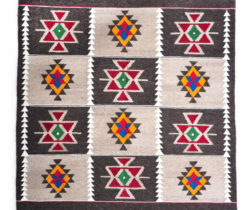 Drawings, a harmonious color palette and completeness of a composition are never repeated twice. 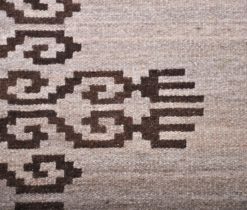 Weavers make their masterpieces every time, putting their true skill in them. 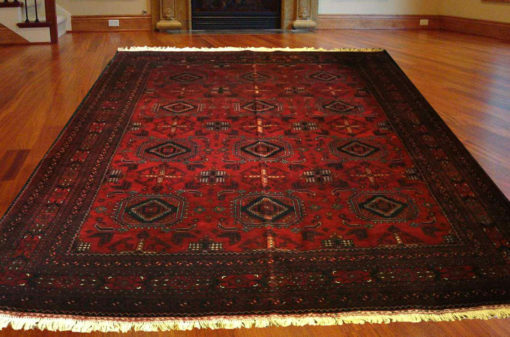 The price of this Oriental rug is a display of the highest quality of man-made carpet. 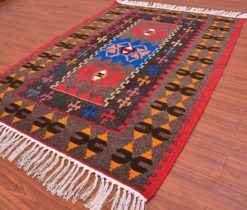 It can be an excellent complement to the interior of your living room and other rooms.